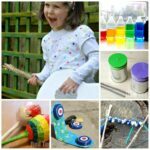 Time for some musical instrument craft ideas for kids!! 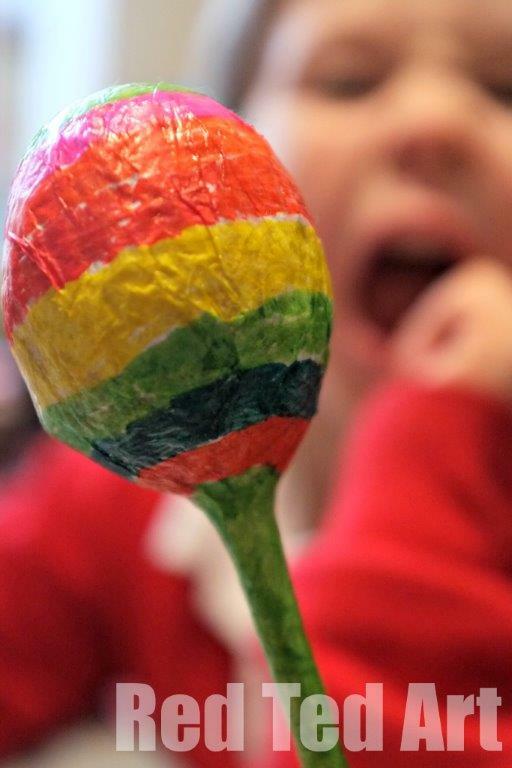 Today we show you how to make some recycled maracas and egg shakers. 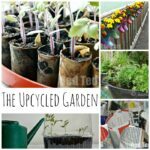 They are both super fun and super thrifty to make. 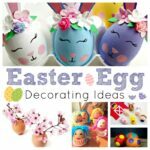 You can make these Egg Maracas DIY all year round.. but I think they are particularly fun at Easter. 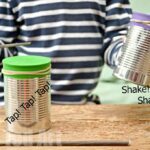 The shaker toys would make great non chocolate Easter Basket gifts too! 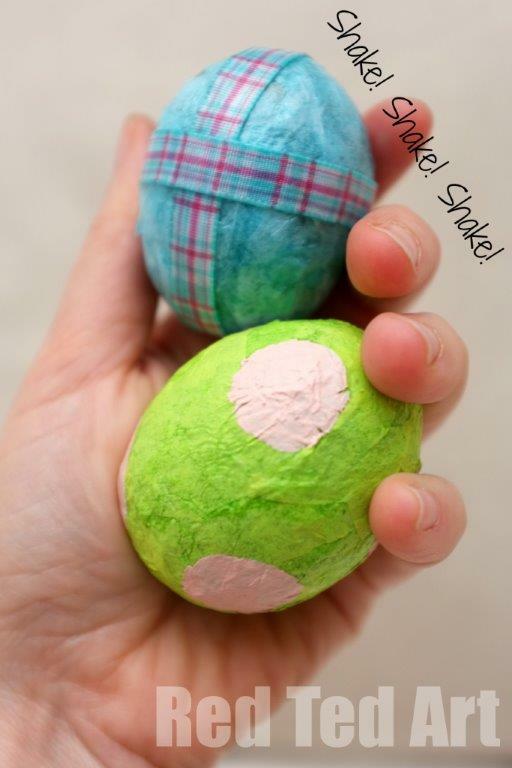 These Egg Shakers were first shared in March 2013 and updated and reshared for your convenience! As mentioned this would make a cool Easter Craft idea for you. DIY Maracas and little egg shaker toys. 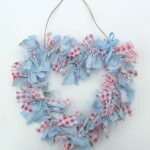 They would be a lovely gift for kids to make for their baby siblings or you could make for your kids. You can make these any time of year or as an alternative Easter Gift. 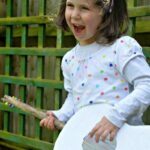 Both the homemade maracas and the rattles are so easy to make and don’t cost much at all. You can use homemade Paper Mache paste too. But it sometimes makes white tissue paper a little brown. Also I find glue makes the egg EXTRA tough and therefore not breakable! Our noise maker are chick peas, though I think beads could sound lovely, or little stones. Try out what works for you! 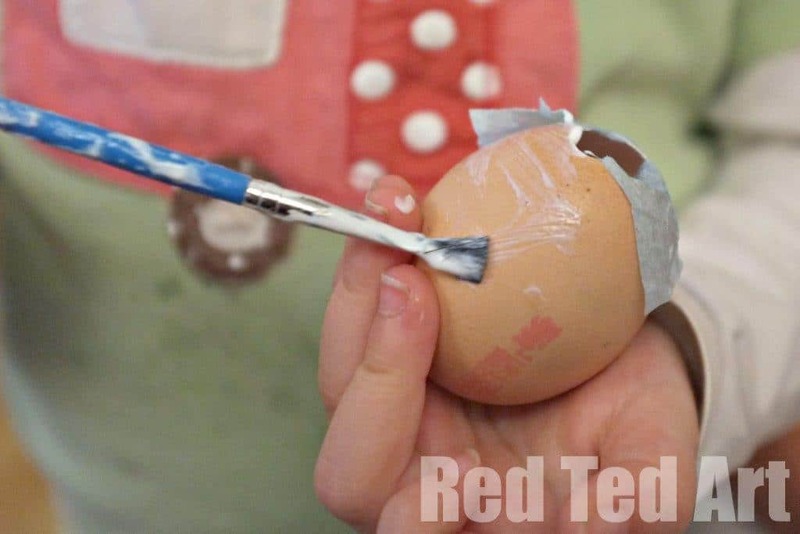 We have a little video tutorial for the egg shaker toys. So quick and easy.. you will love them! Step by Step instructions for the Egg Maracas! 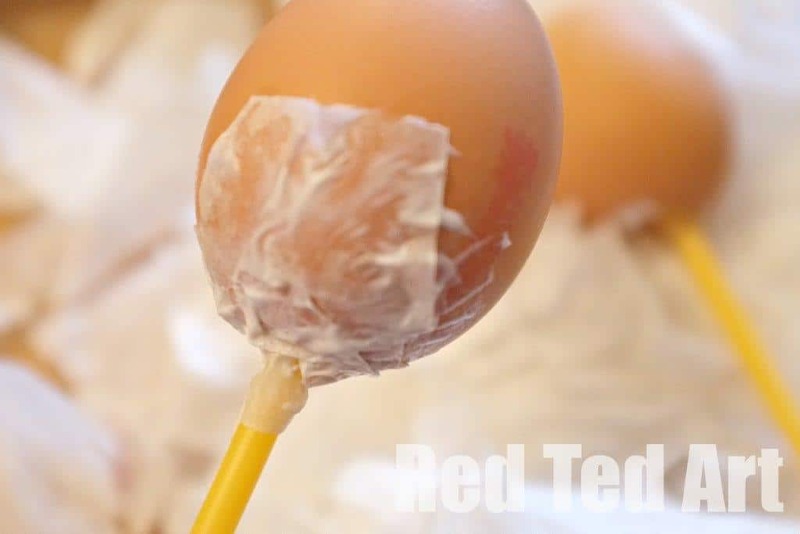 1) Follow the Egg Blowing Instructions from one of my earlier posts – remember you can make one of the holes a bit bigger, as you will need a bigger hole to add your noise maker. 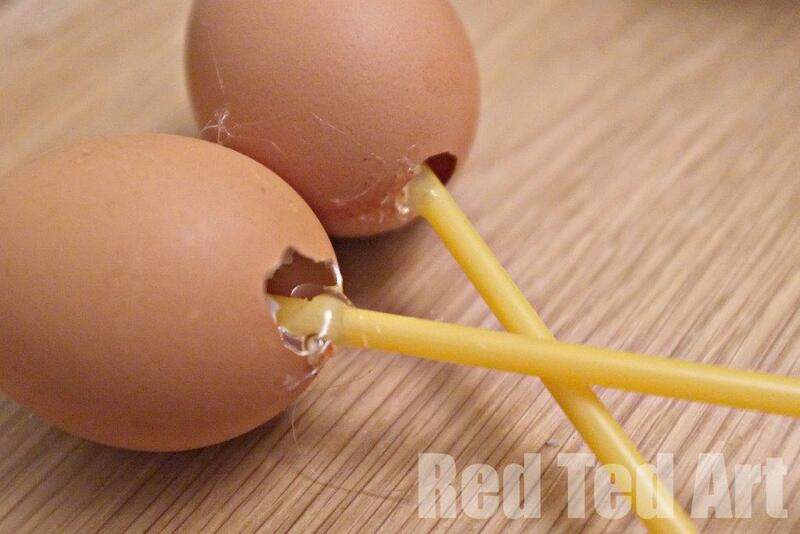 Of course you can make these with plastic eggs, but you will a) have to make a hole at the bottom (please take care) and b) I LOVE using the real eggs, as it makes this a super thrifty and environmentally friendly craft. 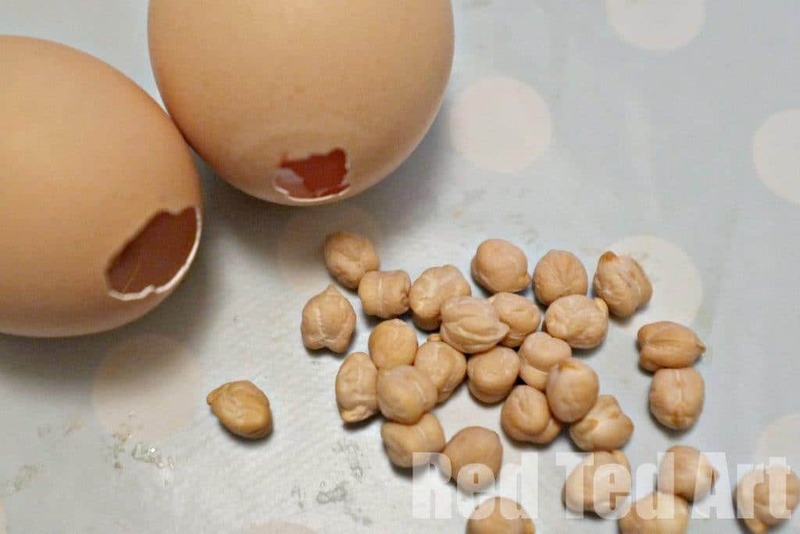 2) Once your egg is clean and dry – fill it with chick peas (or whatever you have). Test for sound. 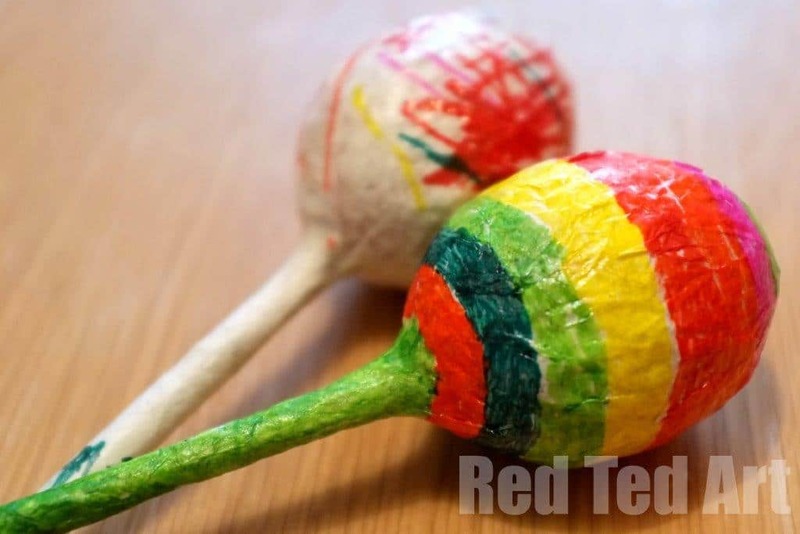 If you are making the diy maracas, you now need to insert your sticks and glue into place. A good PVA glue will do – but you will have to let it dry for an hour or so. To speed things up, we used a hot glue gun. I made sure there was glue at the bottom or of our stick to stick to the inside of the egg and around the rim of the egg where the stick sticks out. Make sure it is nice and straight and aligned. 3) Cut out pieces of tissue paper and then start sticking it on – adding a layer of glue, then tissue paper, then more glue. A bit like our Eric Carle Easter eggs (in fact, the idea came to me afterwards and I wish we had made our Eric Carle eggs into rattles, as they make such cute little gifts!). We used green and blue for the rattles, and white for the maracas. I wanted the white, so that the children had as much freedom for decorating afterwards. With the maracas, we started by covering the hole. Make sure that the hole and the stick get plenty of layers to make the “connection” nice and strong. 4) Make sure you add plenty of layers – especially over the hole. I would say least 4. But add more to be safe. You don’t want your rattles to break! It is worth sticking to just using the brush to add the glue, but you fingers may get a little stick. Clean them if need be. Our eggs using decoupage glue dried quite quickly, but if you need to put them down to dry, do so on a ceramic dish – it is least likely to stick to this. But do turn it every so often to avoid it sticking too much. 5) Let dry and if required, decorate. We added some ribbon and some acrylic paint dots on the rattles. And for the maracas, if like us, you used white tissue paper – then you can easily decorate with marker pens, paint or light coloured tissue paper. I think the rattles make great alternative Easter Egg gifts. Hide them… and let the children find them on Easter Sunday! The maracas are a great musical instrument craft for all year round! 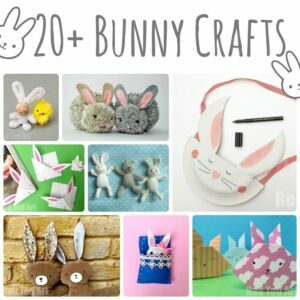 Have you made any Easter Bunny crafts yet? What about some Easter baskets ideas to look at!? Yay! Go on make a set! Here is my girl using them http://www.youtube.com/watch?v=hy6tCL5h_-s&list=UUjjRFKvjpU1L1eDmfBWcqig&index=2 I tried to embed it, but it didn’t work for some reason! Oh,such a brilliant idea! Are they strong? My guys would love them, but I have 5 boisterous kids-would they hold up do you think? Thanks for hosting and for sharing all your great ideas! I am quite confident that they are strong! 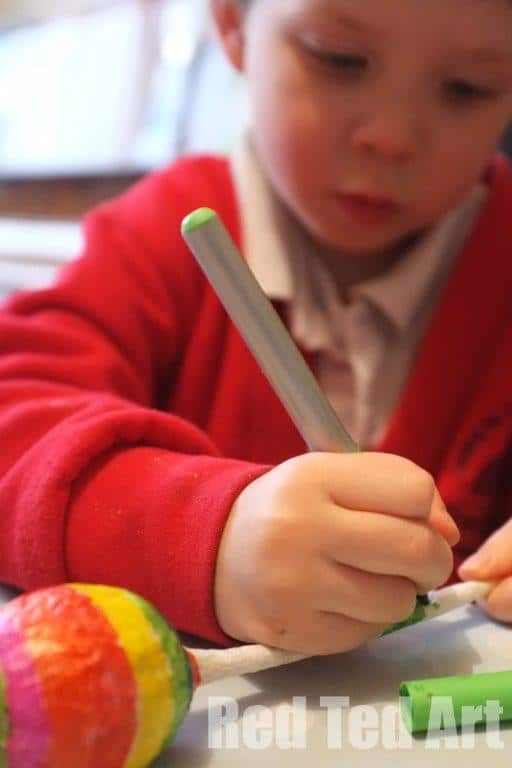 If in doubt add extra layers of tissue paper and glue – the decoupage clue dries quite hard (harder than papier mache glue) and my son has “demonstrated” to my husband our unbreakable they are by dropping the rattles on the stone floor…. mmh, I wasn’t too keen on that! But I DO think if you add lots of extra layers you will fine! On the Maracas it is important that you have strong layers around the base – were egg meets stick. And again, you should be fine. Those maracas are great! I’ll have to make a few with my kids and test them when my nephews and niece are over this weekend. Fantastic! Have fun making some – do share any photos, Eddie! And my pleasure, glad to have you along! Love these Maggie! 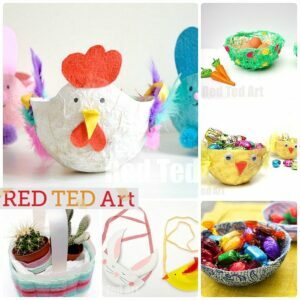 So fun and colourful and a great alternative to candy for Easter gifts. These look brilliant! Will give them a go. I think I need to invest in a hot glue gun! Thanks for hosting! 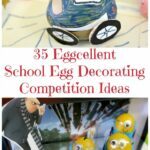 So many wonderful ideas for little ones! 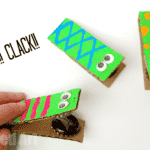 Brilliant idea – noisy and colourful, bound to be a hit with my lot! Oh I was nearly right! Ha ha! I’d never have thought to use a real egg. Clever. Yes, you were SO close with your FB guess!! I like real eggs as it is something that everyone has!